Your liver is one of the most important organs in your body, as it helps filter all of the toxins and other undesirable things from your body on a daily basis. 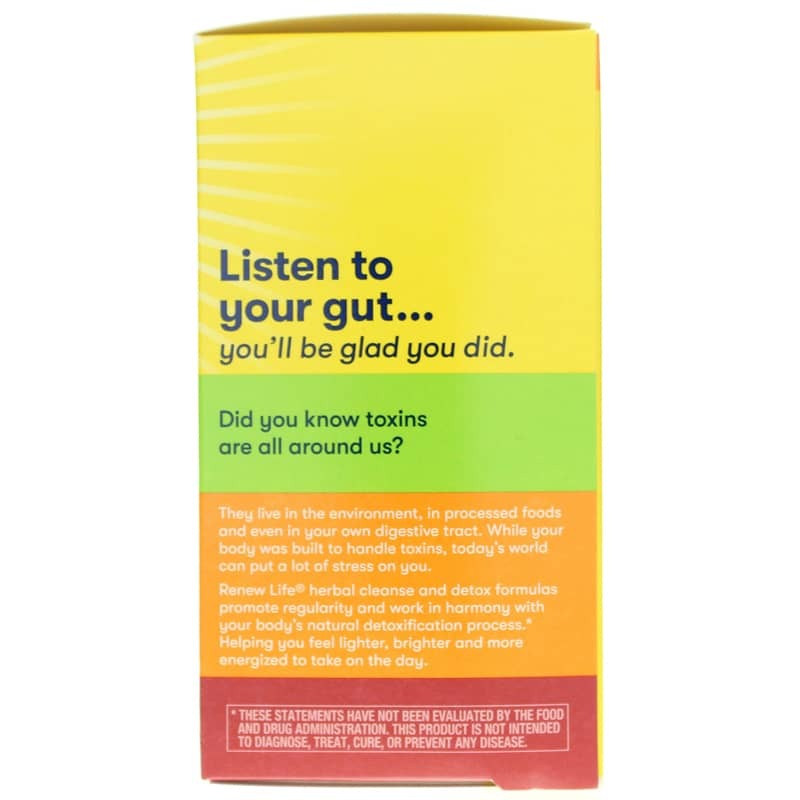 However, especially large toxic loads and stress may cause your liver to become overworked, slowing its' function and ability to maintain healthy detoxification. 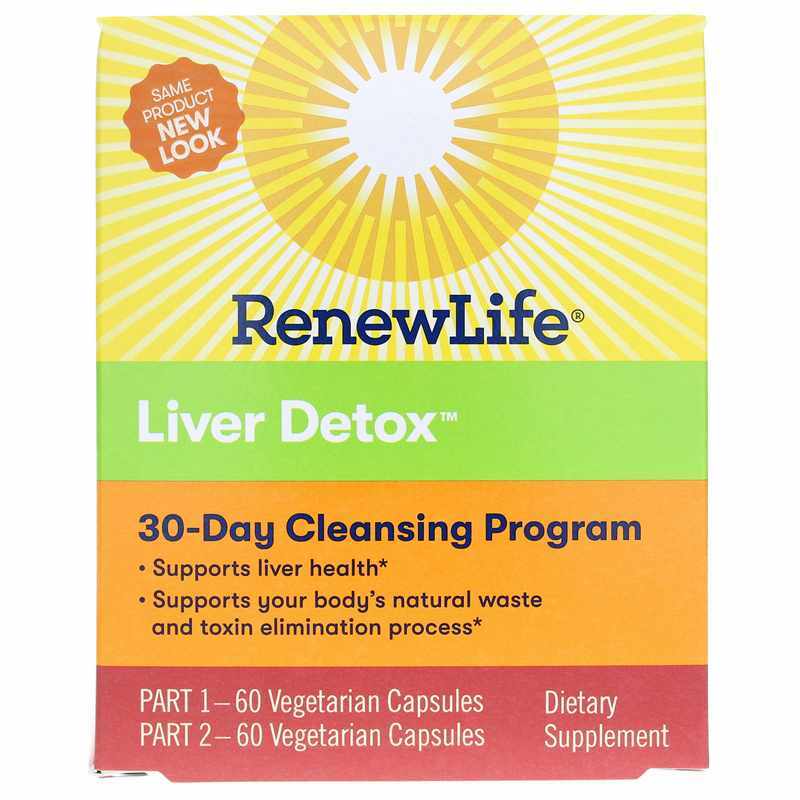 Liver Detox from Renew Life is a two-part, 30-day cleansing and detoxification program that helps support optimal liver function and detoxification. Every kit is made without the use of GMOs animal products, most food allergens, and never contains fillers or binders, or other artificial ingredients. 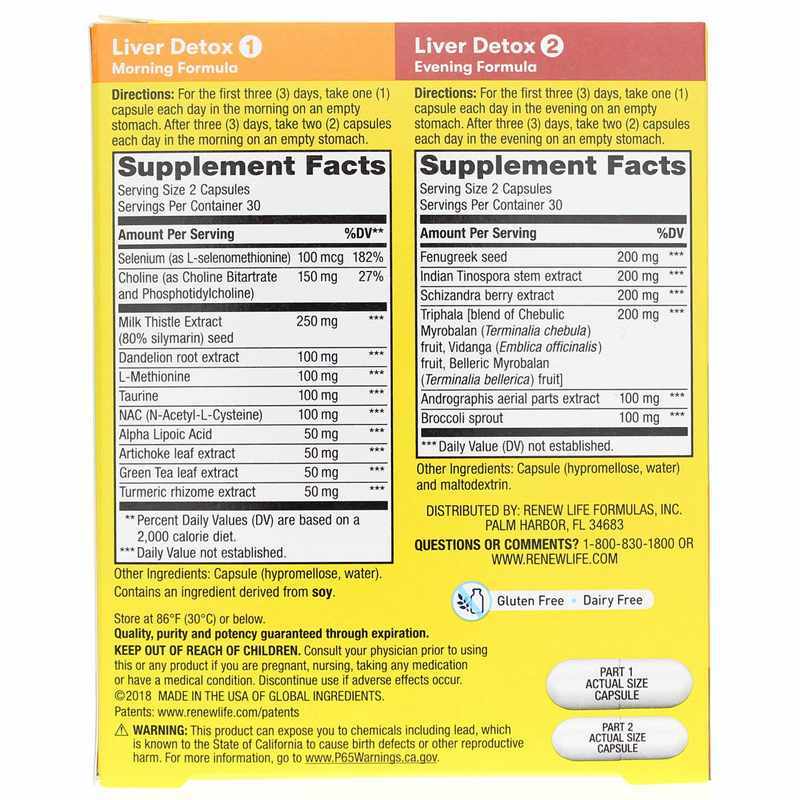 Support your liver the all-natural way. 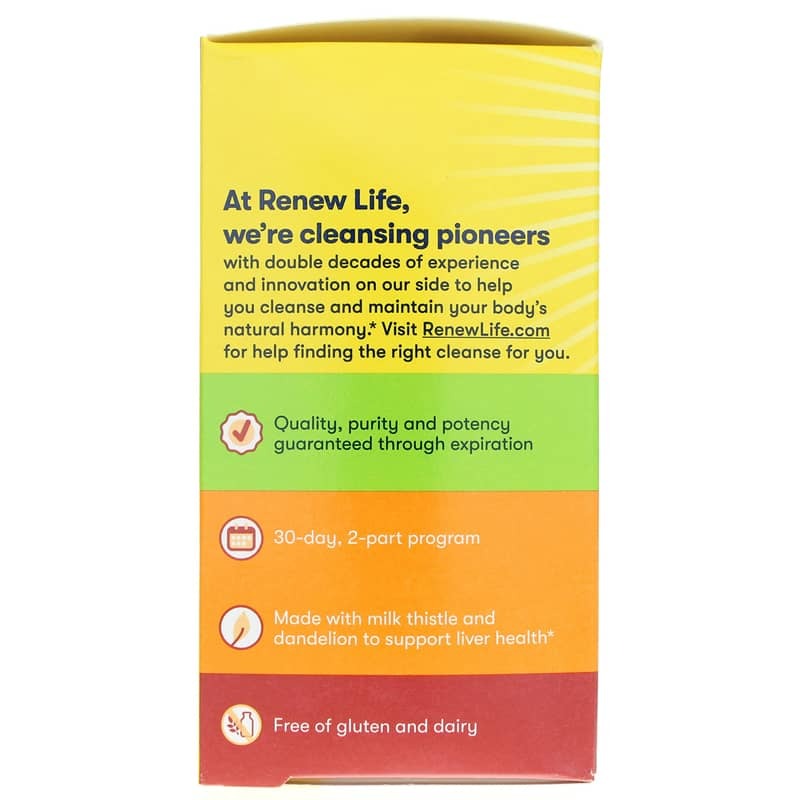 Give Renew Life's Liver Detox a try today. Order now! Contains NO: gluten, dairy, or artificial ingredients. Adults: For the first 3 days, take one capsule each day in the morning on an empty stomach. After 3 days, take 2 capsules each day in the morning on an empty stomach. Adults: For the first 3 days, take one capsule each day in the evening on an empty stomach. After 3 days, take 2 capsules each day in the evening on an empty stomach. Do not use this product if you are pregnant or nursing. Consult your physician before using this or any product if you are trying to conceive, taking medication, or have a medical condition. Not for prolonged use. Keep out of the reach of children.